So my birthday is next Wednesday and I am kind of excited, kind of not considering it's about that time for my quarter-life crisis. (Guess how old I am? I won't be insulted...) Regardless, I am a Sailor Moon fan girl for life. I can not wait until the next season of Sailor Moon Crystal comes out, but anyway I decided to make a list of some of the Sailor Moon items that I really want for my birthday. I'll most likely end up buying them for myself at some point, but I also wanted to know whether any of you Sailor Moon lovers have any of these as well. Things you need when you don't have a man.... I'm joking, but seriously.. 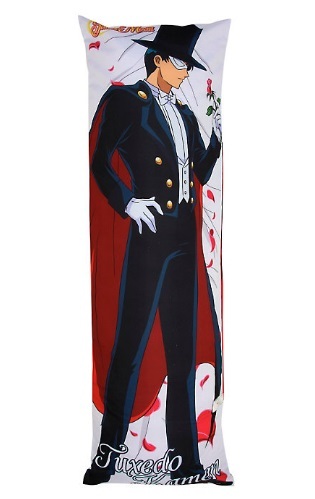 I need this Tuxedo Mask body pillow in my life. "Fighting evil by moonlight. Winning love by daylight...."
This blanket doesn't look like it'd be that thick, but I still want it. 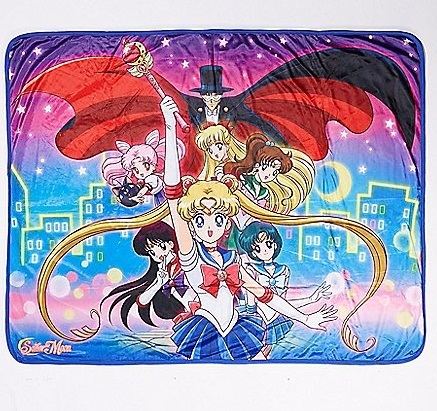 It has Sailor Moon, Sailor Mercury, Sailor Mars, Sailor Jupiter, Sailor Venus, Mini Moon, and Tuxedo Mask. I love it! 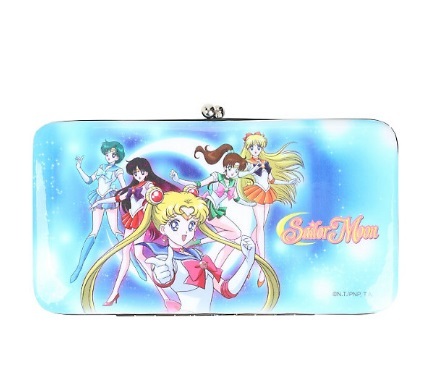 I've always wanted a Sailor Moon wallet and this sky blue one is perfect. 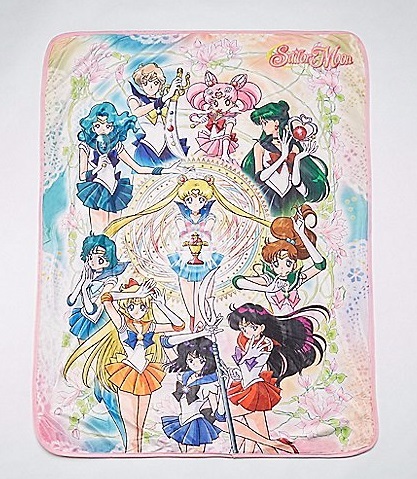 This blanket shows all of the Sailor Senshi/Scouts, including the Outer Senshi (Sailor Neptune, Sailor Uranus, Sailor Pluto, & Sailor Saturn) with Sailor Moon in the center holding the Rainbow Moon Chalice. Speaking of the Rainbow Moon Chalice, here it is in all its' glory. It's gorgeous. I don't think it's deep enough to put anything in it unfortunately. Since it's a replica and pretty expensive it may just be for viewing, but I'd definitely put some frozen miniature Reese's in it for guests if I could. 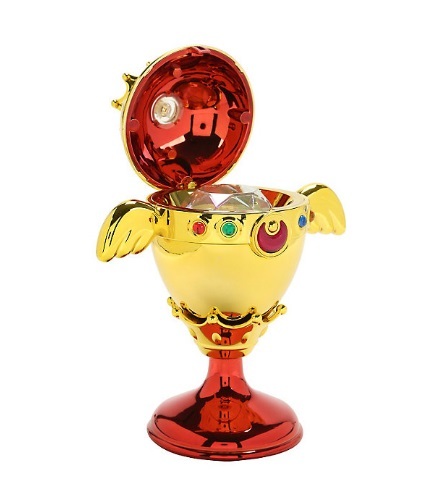 So those are my 5 Sailor Moon items that I'd love to own for my birthday. Let me know what items you want or if you have any of these. I hope you moon lovers have a great day and don't forget to be on the look out for my future Sailor Moon cosplays on my Facebook Cosplay page.